The MS series are multi‑purpose, ready‑to‑use passive infrared sensor modules designed to provide signal outputs for OEM integration with motion activated products. 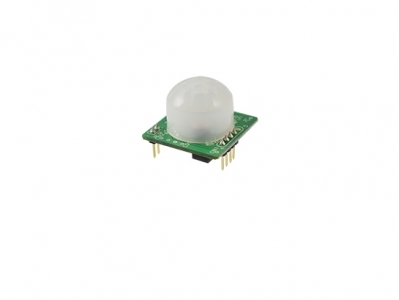 The sensor module employs a dual element pyroelectric infrared sensor and photo sensor with a compact dome lens to provide motion sensing open collector output. The MS series is available with 5VDC power, or a low power version at 3.6VDC.